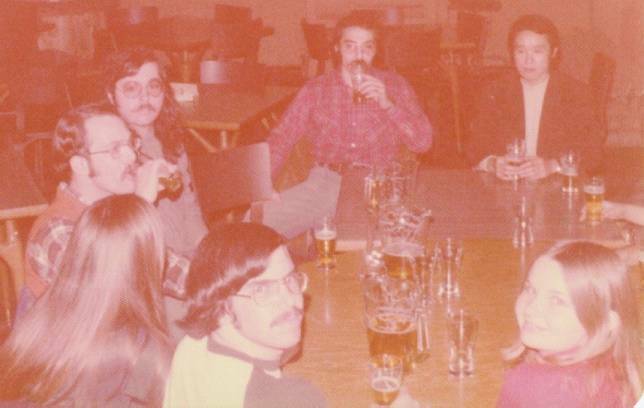 Vintage shot of some of the core members of the UConn Karate Club rehydrating after practice circa 1975. From top clockwise: Frank Sessa, Sensei Isaka, Chris Pouchet, Peggy Wills, Lowell Wills, Mark Collins, Bob Jacobs, Devon Conover, Scott Jacobs. 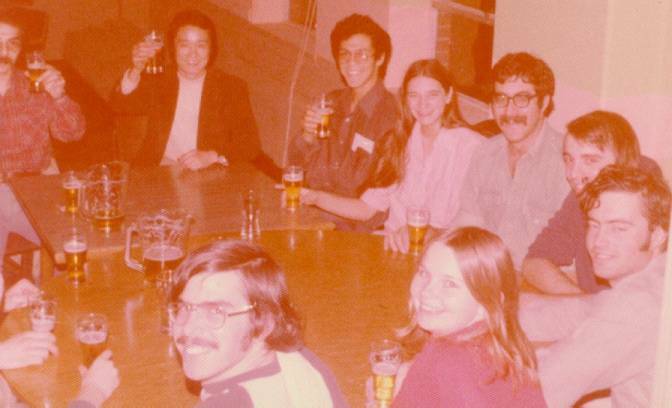 From left clockwise: Sensei Isaka, Chris Pouchet, Peggy Wills, Lowell Wills, Mark Collins, Bob Jacobs, Rick Slayton, Naz Cavan. From top counterclockwise: Sensei Isaka, Frank Sessa, Rick Slayton, Ed Miller, Ann Stonick, Scott Jacobs, Devon Conover.